Tomorrow is STEAM NIGHT! 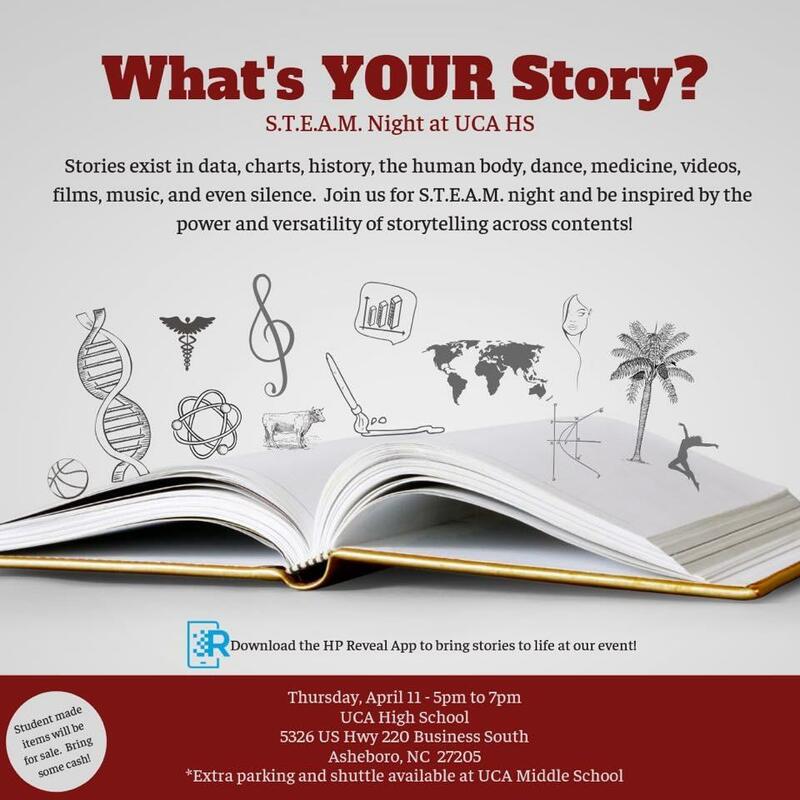 "What's Your Story" is this spring's theme. This event will be filled with all kinds of performances, roller coaster and catapult models, Trashion Show, 5' DNA models, wax museum, a journey to Mars, futuristic cities, bilingual storytelling for children, designing own restaurant, developing small business, planning the great American road trip and so many more to list. There will be story reading and children's book give away while supplies last. There will be children's crafts provided in the art room where children can create story bags to take with them. We would like to welcome families and friends to come see what our high school students are learning in the classroom. When you arrive on campus please be sure to pick up a map. As you navigate through the building, please feel free to use any of the exterior doors to get from wing to wing. This will help with overcrowding within the building. Once the parking lot is full traffic will be directed to park at the middle school and a shuttle bus will run between both campuses.